You know what time it is. 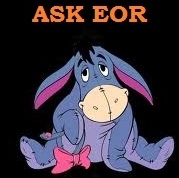 Time for the third installment of “Ask EOR”! The previous 2 installments can be found here and here. I just want to remind you all that you can e-mail your questions to me at askeor.rf@gmail.com and I will do my very best to shed light on any and all Mormon (and Mormon adjacent) queries you might have. How important is it to have a literal belief in the Book of Mormon? Do we really have to believe these are factual accounts of real live people in order to be good Mormons? In the 8th Article of Faith it indicates that “…we also believe the Book of Mormon to be the word of God.” Christ himself often spoke in parables and so it is completely within the realm of possibility that the Book of Mormon _could_ be an allegorical account. I am not an archaeologist, and I do not have time-traveling capabilities (except for that one time…a story for another day) so I have no certain knowledge of the historical accuracy or inaccuracy of the Book of Mormon. The only thing we know for sure regarding Mormonism is that it is a tenet of our religion to believe that it is the word of God—reconcile that however you may. I am thinking of discontinuing paying my tithing to The Church. I disagree with how tithing money is spent and can’t in good conscience continue to support it. I’m having a hard time actually letting go of a practice I have held for so long though. What is your advice? Let me start by recognizing your concerns as valid. Particularly as Americans we are taught that our money is our voice and I love a good boycott as much as the next person. 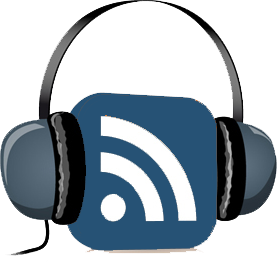 That said, this is an area where I completely disagree with the prevailing thought in Bloggernacle circles. I think of tithing in the same way I think of giving to the poor. If I give money to a person on the street and they turn around and use that money for alcohol or drugs that is between them and God. I have done my duty and loved my neighbor by offering them the means to feed themselves or get warm or any number of productive ways to spend that money. We are commanded to give tithes and offerings. I relinquish my offering with a pure heart to God and what The Church does with that money is not my business. Of course in Mormonism there is the added complication of not being able to renew a Temple Recommend if one does not pay a full tithe, and so this is really a case where personal revelation becomes entirely necessary. One does not want to be found “robbing God” and while I believe in the God-given gift of our own brains and understanding we have a very hard time knowing what is best for us. I would encourage you to really offer these thoughts up in prayer to determine what course of action would be best for you. Whatever choice you make, make sure it comes as the fruit of fervent prayer and supplication rather than a knee-jerk reaction to real or perceived wrongs. I had an immediate visceral reaction to your question. My heart bursts with a screaming “Yes of course!” but I was unsure whether that reaction came from my desires or from any actual spiritual knowledge. I currently enjoy the companionship of two of the most worthy souls I have ever encountered and they just happen to be housed in animal form. I would be truly heartbroken to find that they, along with other animals I have loved and lost throughout my life, were nowhere to be found when my life continues on past mortality. 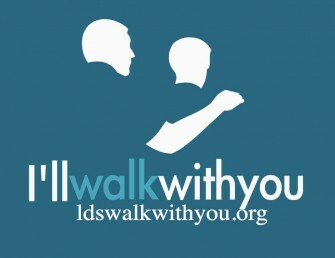 But, I did a wee bit of research on lds.org and came across this short piece on the subject from the March 2012 Liahona magazine. I feel it covers all the basic bases of information without of course making any promises. I’m afraid that is all I have to offer as well. With all my being I want to say yes because I feel like somehow that will make it true, but the real truth is that we simply do not know and I am no exception. I think you’re exactly right about the tithing, although I’ve never thought to verbalize it that way. But I think this is why I too can’t let go of the practice, even though I do get disgruntled with how the church spends the funds. All I can control are my own actions, and I certainly don’t want to be found robbing God. The church as a corporation can answer for itself. Leah Marie I completely agree. For me, I would rather err on the side of caution. I do believe the institutional Church will have things to answer for, and their stewardship is one of them. Not my place though. I agree, though for me it is more than just ‘robbing god’, I truly believe that the commandment of tithing helps us – every time we pay, we suppress our more materialistic desires, regardless of where that money goes. I too struggle with the way that tithes are spent, but I still feel that I gain much more when I pay than when I do not. I just hope there are not animals in my mansion above. As for tithing, I view it as my membership dues. Something like that. You’re not an animal lover, or do you just think there will be no proper Heavenly carpet cleaning options? I just know that no Heaven of mine will involve a litter box. No in Heaven their little poops will be “uploaded” from their bodies. You’re right that I will not spend my eternal rest sifting through litter. I mostly view pets as a form of human irrationality (my jerk way of saying I am not an animal person). Of course, it there are actually worlds in the the hereafter…I assume nature would require animals….just as long as they stay out of my house! I truly enjoyed your thoughtful answers to these gospel questions. I personally agree with each of your answers stated above, however even if I didn’t (agree with you) it’s still great to have a forum to gain insight from one another. Also, here’s my 2-cents on the subject of “animals in heaven.” I for one cannot envision a hereafter where loved and loyal companions I’ve enjoyed here in this life weren’t around to add to my joy in heaven. I certainly hope that will be the case. Thank you, Michael, I appreciate your take on things. I’ve loved and lost too many wonderful animals too soon that it would make me incredibly sad to never see them again. Sorry I missed this post when you originally put it up, but I just wanted to come in late to say that’s a great framing of tithing.